Water Capacity : 87 gal. Fuel Capacity : 34 gal. 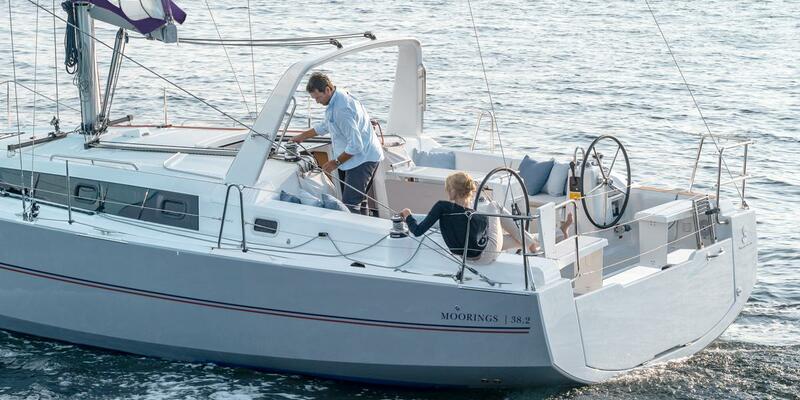 A crowning achievement in Beneteau’s Oceanis range, The Moorings 38.2 is an award-winning monohull offering remarkable stability and sophistication at sea. The hull is the heart of any great sailing experience, and the 38.2’s is certainly no exception. 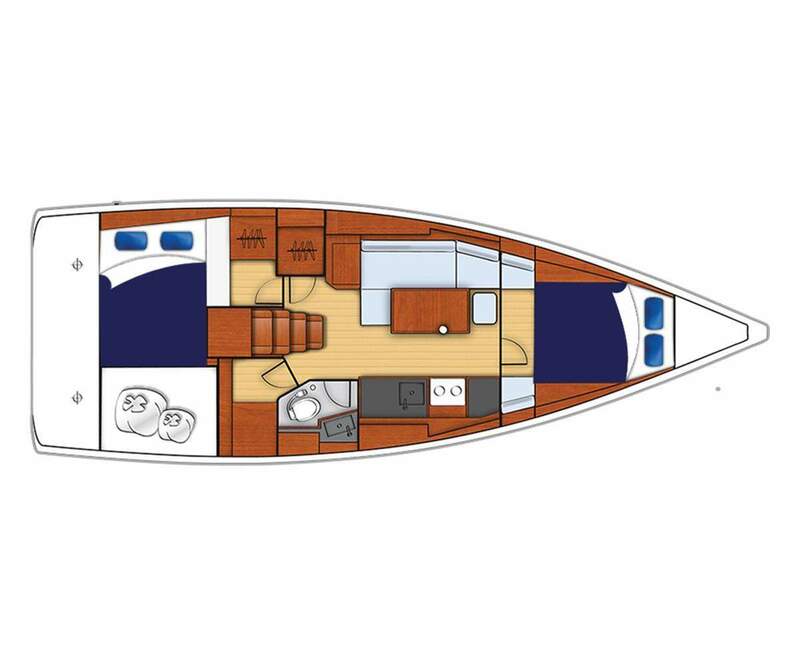 Designed by naval architects Finot-Conq, her hull extends into a wide beam towards the stern, giving you more momentum and less heel, even under the strongest winds. 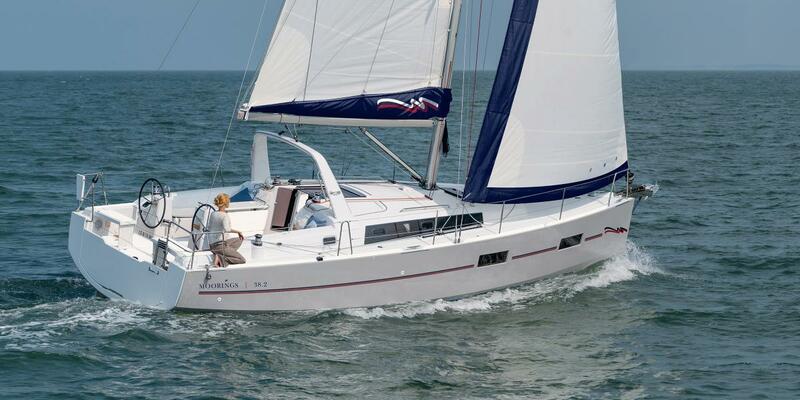 Additionally, twin rudders ensure easy handling from either one of the 38.2’s dual helms. Above deck, the expansive cockpit offers ample space for socializing or simply soaking up the scenery as you slice through the waves. A drop-leaf table makes outdoor dining a breeze while the mainsail arch allows guests to walk safely around and between the cockpit and interior below. Below deck, mahogany finishing lines the interior, which features an array of amenities in a 2-cabin/1-bath layout ideal for groups of up to six. The well-appointed galley contains a gas stove, oven, refrigerator and sink as well as ample cabinet and countertop space for preparing meals. Dine on the drop-down table with plush wraparound seating, or chart your course in the navigation station, which includes a chart plotter and a full range of essential electronics. 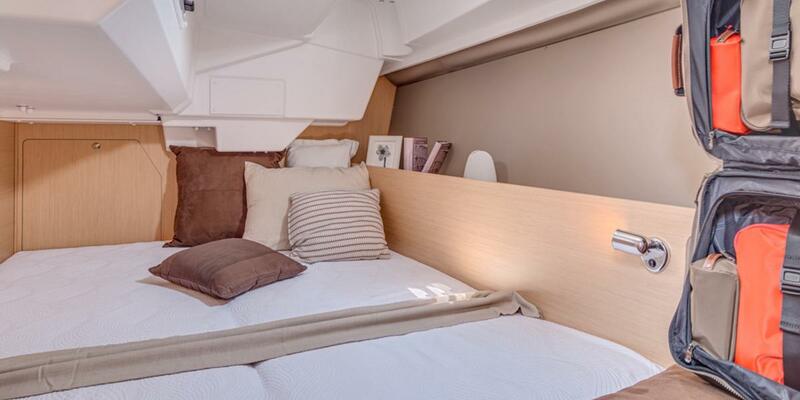 The Moorings 38.2 includes two double cabins and a single head with a stand-up shower and a convertible saloon. 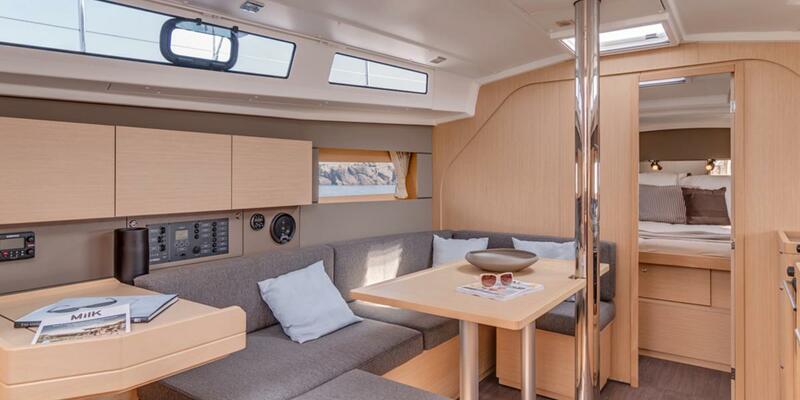 Shore-power air conditioning, hanging lockers, and a radio/CD/MP3 player with indoor/outdoor speakers complete the experience of sailing aboard this exceptional yacht. Convertible Saloon: Yes, this yacht has a convertible saloon, which offers sleeping arrangements for up to two guests. 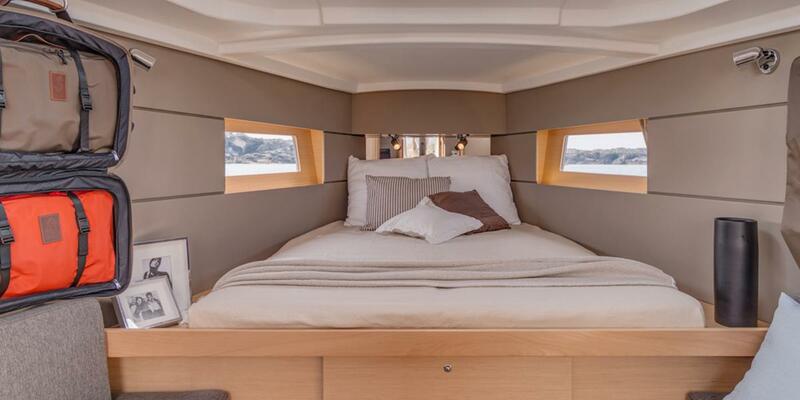 This space is included as a double berth the listed maximum capacity of your yacht.